This artwork shows the variations of the land. You start with the way the light skims the ridges to the rugged coastline with this curvy road and finally the green hills that are normally desert. This image also shows us how tiny people are in the overall big picture. 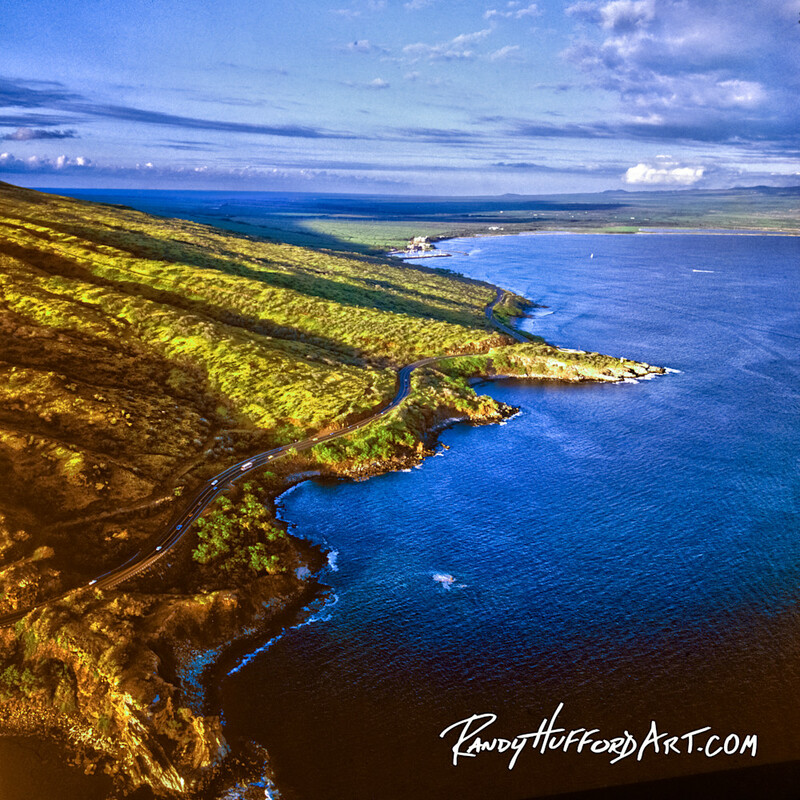 Aerial photo of Pali Coastline showing road to Lahaina.